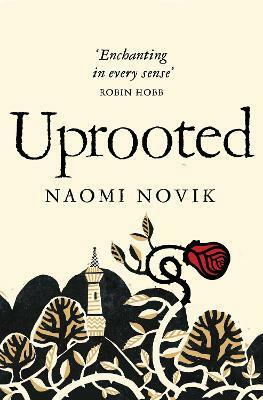 A dark enchantment blights the land in the award-winning Uprooted - a enthralling, mythic fantasy by Naomi Novik, author of the Temeraire series. A DARK ENCHANTMENT BLIGHTS THE LANDAgnieszka loves her village, set deep in a peaceful valley. But the nearby enchanted forest casts a shadow over her home. Many have been lost to the Wood and none return unchanged. The villagers depend on an ageless wizard, the Dragon, to protect them from the forest's dark magic. However, his help comes at a terrible price. One young village woman must serve him for ten years, leaving all they value behind. Agnieszka fears her dearest friend Kasia will be picked at the next choosing, for she's everything Agnieszka is not - beautiful, graceful and brave. Yet when the Dragon comes, it's not Kasia he takes. Naomi Novik is the acclaimed author of the Temeraire series. She has been nominated for the Hugo Award and has won the John W. Campbell Award for Best New Writer, as well as the Locus Award for Best New Writer and the Compton Crook Award for Best First Novel. She is also the author of the graphic novel Will Supervillains Be on the Final? She lives in New York City with husband and Hard Case Crime founder Charles Ardai and their daughter, Evidence, surrounded by an excessive number of purring computers.